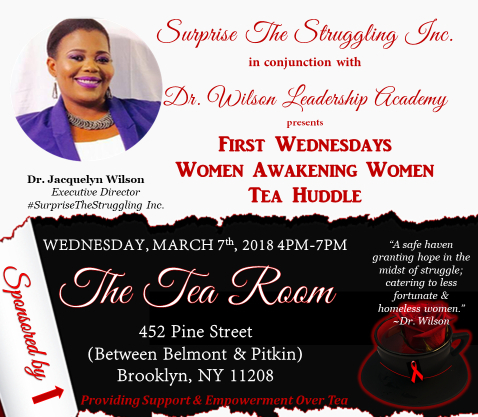 #SurpriseTheStruggling ™ A Hashtag Movement for Homeless Women in partnership with Dr. Wilson Leadership Academy (DWLA) and Women Awakening Women (WAW) is back at it for Women’s History Month, for its First Wednesdays Tea Huddle. 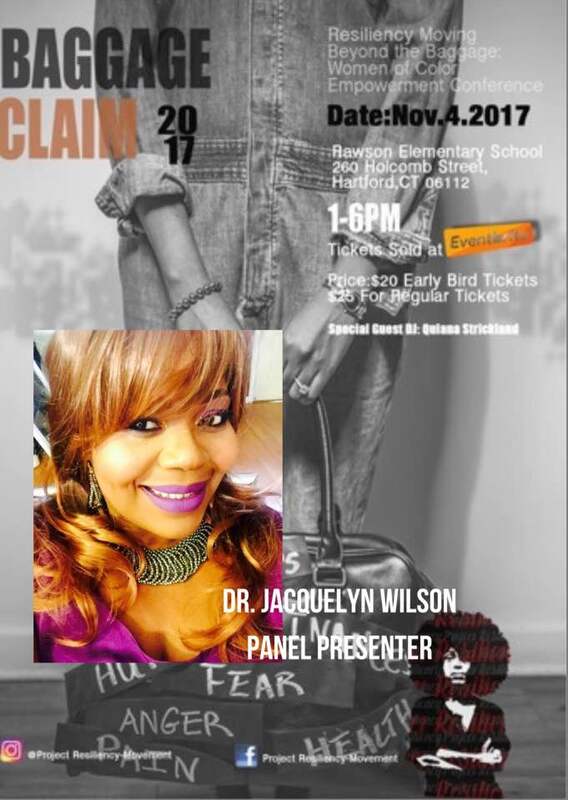 This Month’s Guest Speaker is HIV Activist, Thamicha Isaac—Openly Positive, Founder and Executive Director of MiizMisha’s World Of Empowerment. 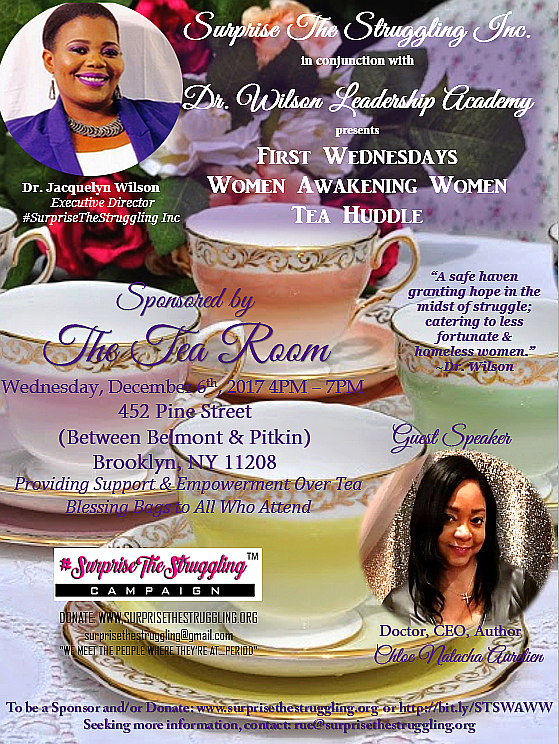 Please share with women in your network who’d benefit! You don’t have to be infected to be AFFECTED. 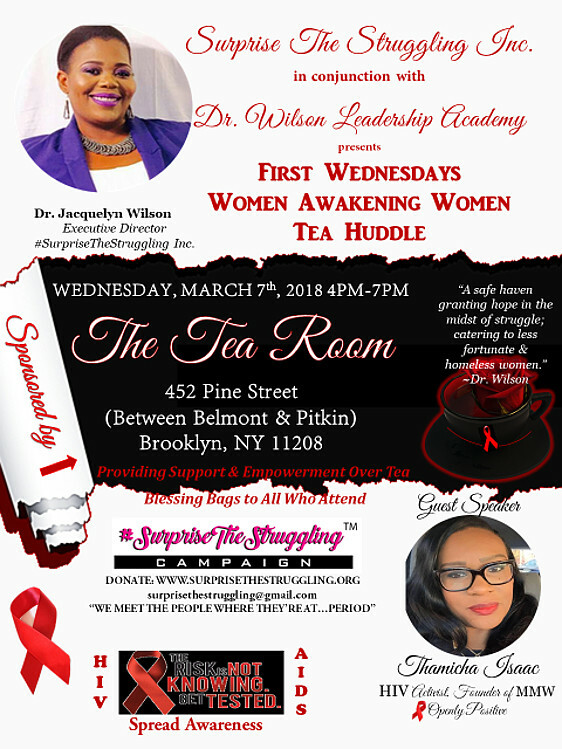 March 7th, 2018 from 4 PM – 7 PM at The Tea Room, located at 452 Pine Street, Brooklyn, NY 11208. 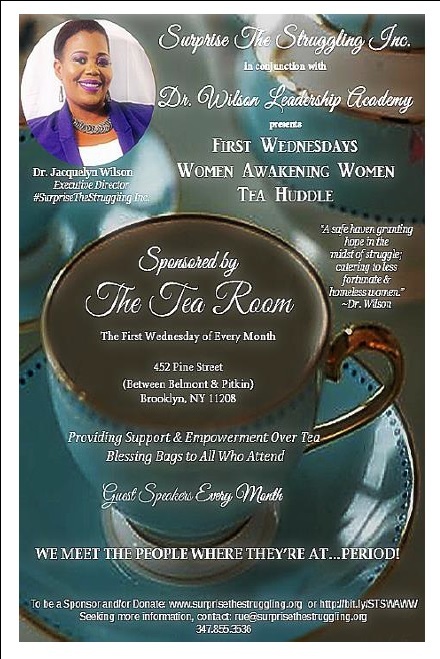 Tea, conversation, resources, info! 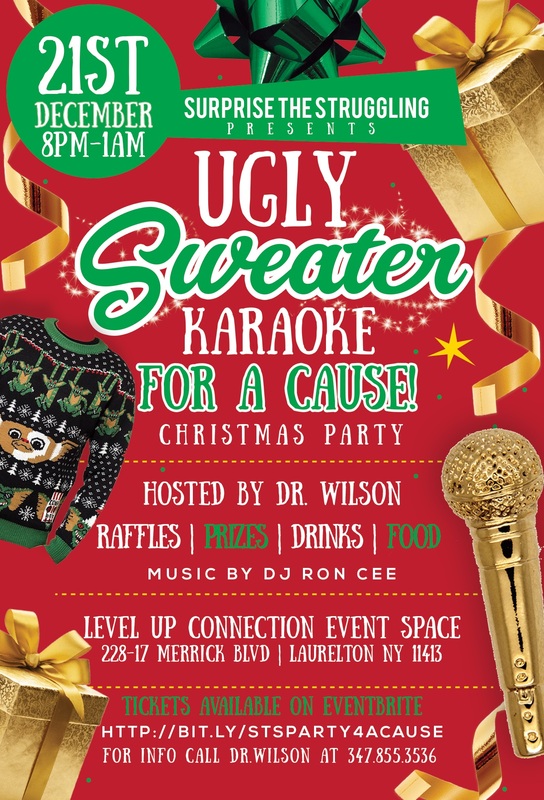 Donate to our Giving Back Page. 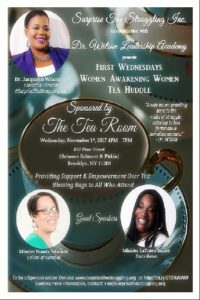 All proceeds to benefit less fortunate women and teen girls. 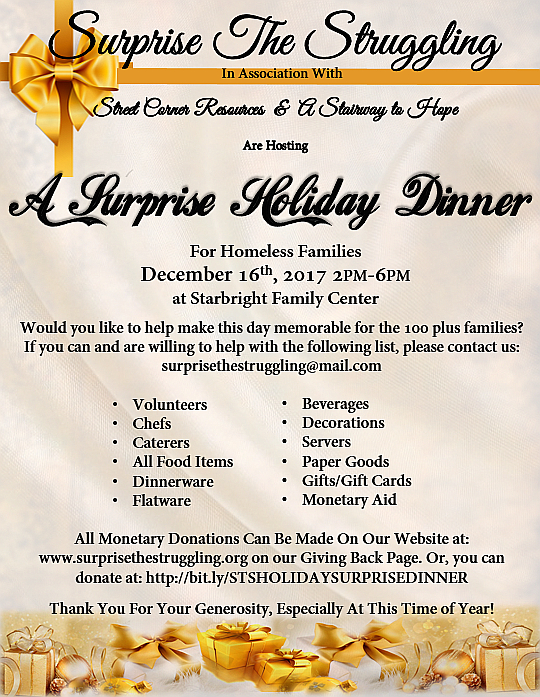 Email surprisethestruggling@gmail.com for more info and if interested in becoming a Sponsor. We Meet the People Where They Are…PERIOD! 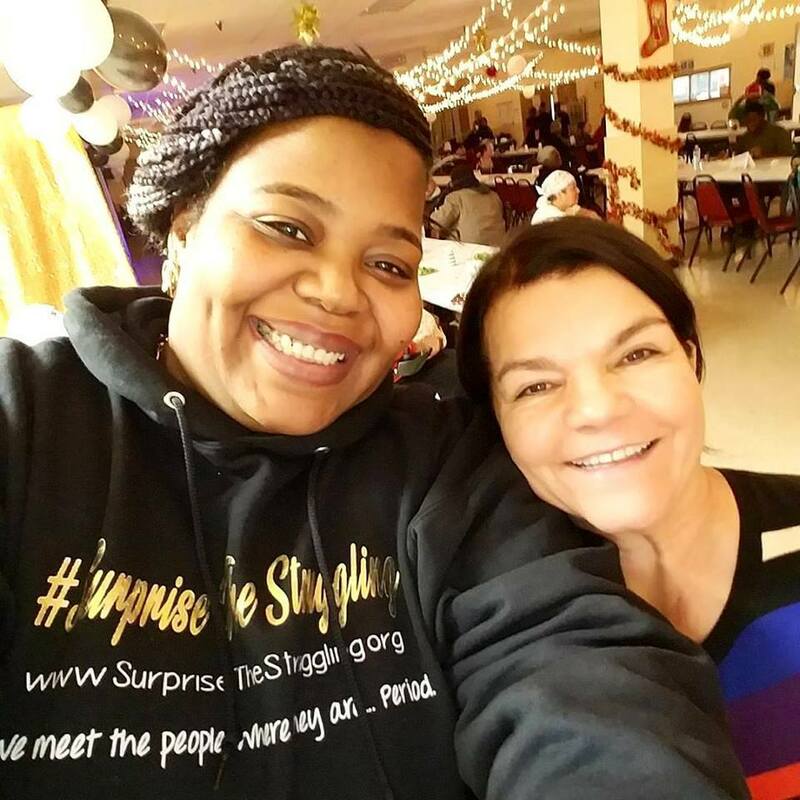 December 9, 2017, New York—Surprise The Struggling was the honored recipient of over fifty Blessings Bags that was raised during a recent fundraiser. 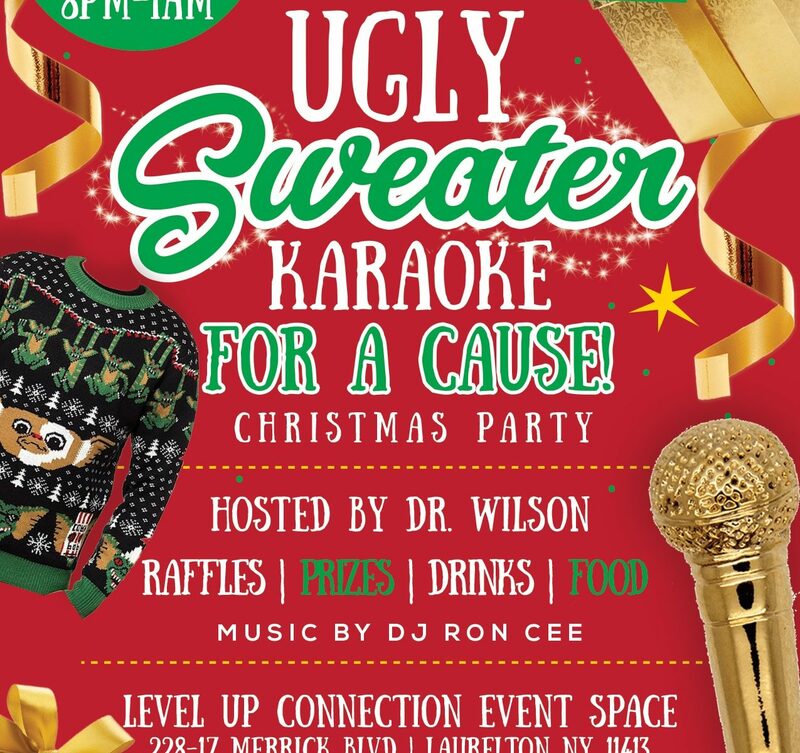 Poyed By Velvette’s, B2BAB quarterly fundraiser chose Surprise The Struggling for its winter fundraising initiative. 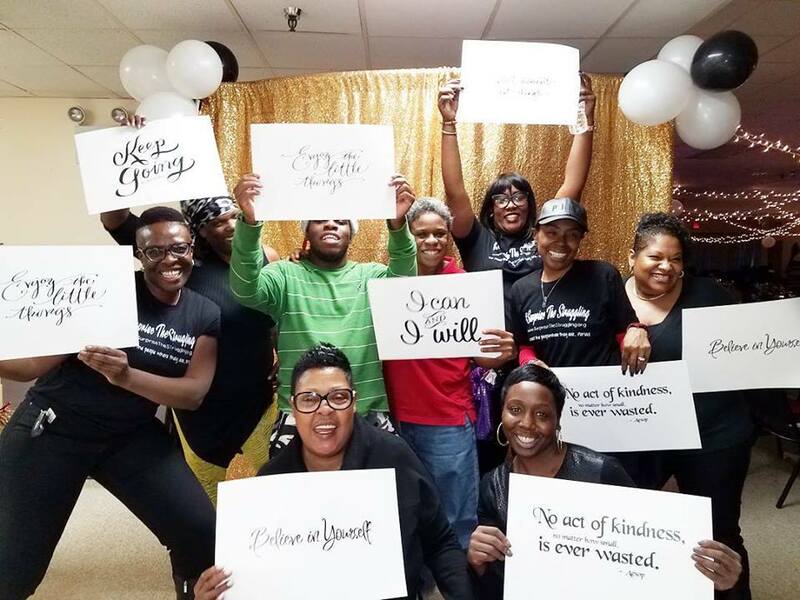 Over forty women pledged to donate, purchase products, and raise funds to fill fifty large bags with items to help aid #STS mission in helping homeless women and teen girls globally. Among the many items donated to fill each bag was an array of toiletries, including items such as toothpaste, toothbrushes, sanitary and feminine products, lotions, soaps, body washes, socks, hair grooming and shaving kits, makeup bags, slippers, water, protein bars, detergent, flashlights, and a host of other items that would help those in need. Blessed to Be a Blessing “B2BAB” is a series of quarterly fundraiser initiatives by Poyed By Velvette, that support various causes by raising funds, collecting donated items and bringing awareness to issues that impact young girls, teenage girls, and women living in our communities. The fifty bags donated to Surprise The Struggling enabled the organization to reach more homeless women and teen girls this Holiday season than anticipated. 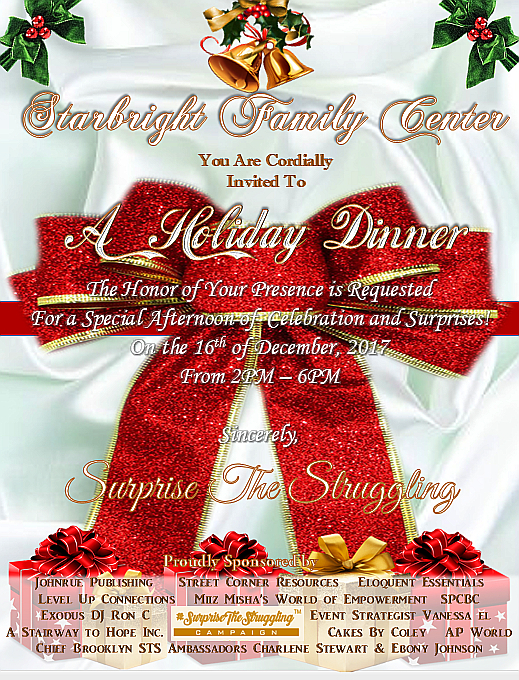 Immediately, #STS was able to reach out to some women in need, earlier than expected this Holiday season, due to the dedicated and philanthropic endeavors of Poyed by Velvette’s B2BAB initiative.